I'm so excited to finally share the Zippie Clippie pattern with you... this pouch has so many purposes that I'll never be able to count them all. Clip one on a backpack with pencils and school supplies. Clip another to your bag to hold your phone. Then sew another to hold your hand sewing kit while on road trips! I made mine to fill with goodies and give as teacher gifts this year. 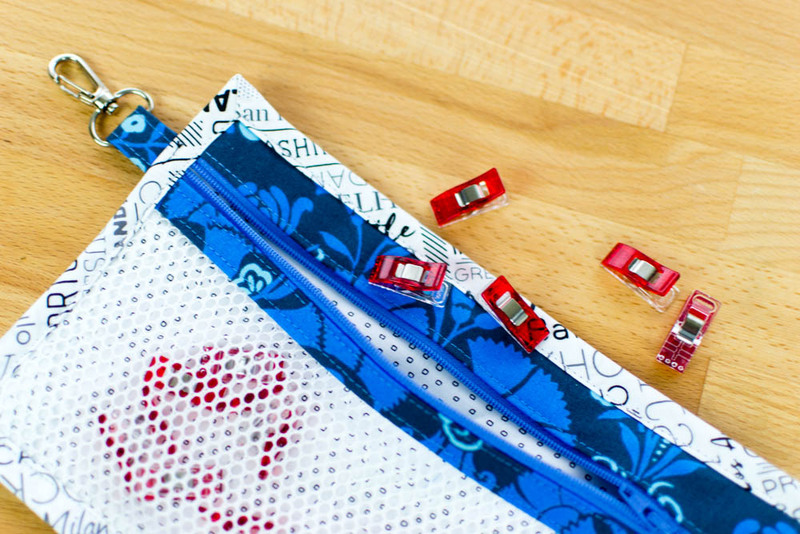 No matter how many you sew up... you are going to need more of these fast and easy zipper pouches! 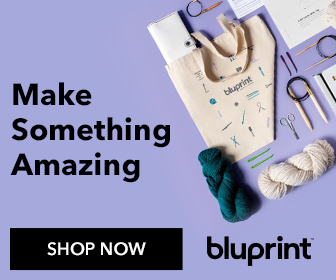 Now, pay attention here: you can customize the front of this handy zipper pouch and sew it with whatever material you want: vinyl, mesh, or fabric. Awesome, huh? For a pencil pouch, I thought that vinyl was the best. Mesh is a little bit stretchy plus you can see through it, so it turns out to be my favorite front-of-pouch material overall. Or, of course, you can choose regular fabric for the front of your pouch if you don't want it to be see through or if you are trying to use up fabrics in your stash. 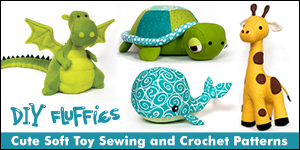 Are you ready to sew up some of these amazing pouches??? Let's go! Almost 3 1/2 yards of bias cut fabric - from a fat quarter! About the bias cut strip: bias cut fabrics are cut at a 45 degree angle to the selvage or straight grain of the fabric. For these pouches, I used my continuous bias trim from a fat quarter method and made enough bias cut fabric for 4 pouches. If you use this method, be sure to cut your strip 2 1/4'' tall. 1. Fuse the 6'' x 10'' fusible fleece rectangle to the 6'' x 10'' fabric piece that you cut for the back of the pouch exterior. 2. Lay the fabric piece for the back of the pouch interior on top with the wrong sides together. 1. Fold the 2'' x 10'' binding strip in half lengthwise and press. Open and press the long edges to the center. Fold in half again and press. 2. 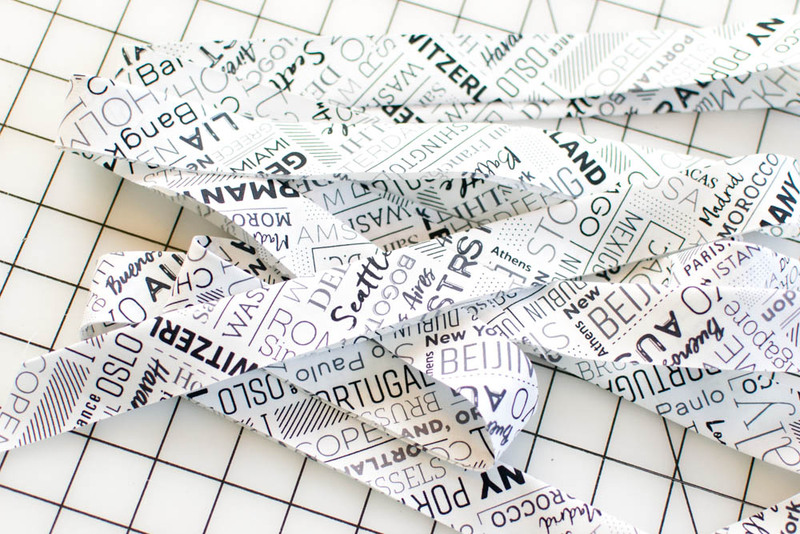 Wrap the binding strip around the top edge of the 4 1/2'' x 10'' piece of vinyl or mesh fabric and pin or clip in place. If you are making a fabric front, place the two 4 1/2'' x 10'' fabric rectangles wrong sides together and pin or clip the binding to the top edges together. You can't see the vinyl very well above, but the top edge of it is encased in the binding. 3. Stitch close to the edge of the binding to secure it to the vinyl, mesh, or fabric pieces. 4. Cut or tear off a 10'' long piece of Wondertape and adhere it to the zipper, centered and along the lower edge of the zipper tape. Remove the paper backing and press the binding (that's sewn onto the vinyl, mesh, or fabric pieces) against the lower edge of the zipper. The top edge of the binding should be about 1/8'' away from the zipper teeth. Tip: I love Wondertape for this step, but you could use pins of you choose. 5. Sew the bound edge of the vinyl, mesh, or fabric to the zipper close to the top edge of the binding. 6. Fuse the 2 1/2'' x 10'' piece of fusible interfacing to the fabric fabric rectangle of the same size. Fold the rectangle in half and press. 7. 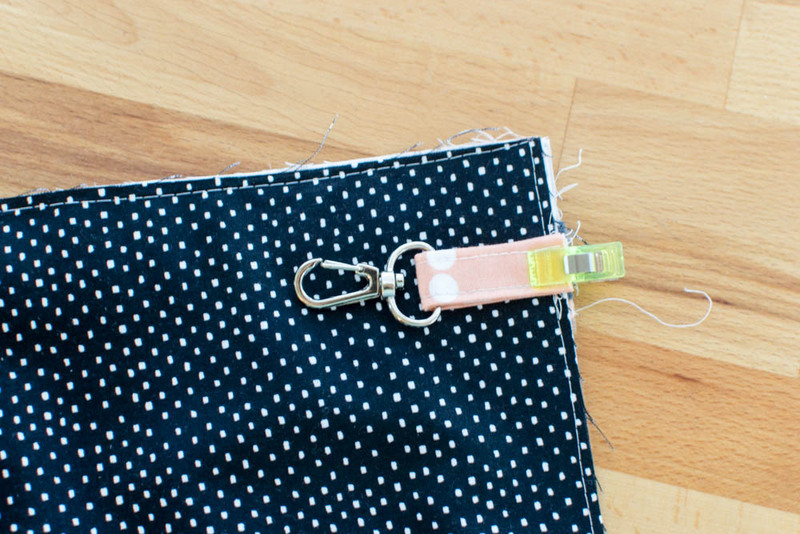 Use Wondertape or pins to secure the folded fabric rectangle to the top edge of the zipper. The fold of the fabric should be about 1/8'' away from the zipper teeth. 8. Stitch the top piece in place, close to the folded edge. Then sew again about 1/4'' away from the first line of stitching - this is just to make the stitching above and below the zipper match, so it's optional. Move the zipper slider to the middle and trim away the extra zipper tapes. Set this piece aside. 1. Fold and press the 2 1/2'' x 3 1/2'' fabric rectangle the same way that you did the binding for the vinyl, mesh, or fabric front. You should get a 5/8'' x 3 1/2'' folded strip. 2. Sew close to both long edges of the strip. 1. Clip or pin the front of the pouch to the back of the pouch that you prepared earlier. Line up the top and side edges. The bottom edge of the front piece may be a bit longer (it's hard to see that on my vinyl piece above). The extra length hanging off is why I didn't clip the bottom edge. I could have clipped the side edges better, but I didn't (slap my wrists!). Tip: When I was sewing on vinyl or mesh, found it helpful to wait to trim away the extra material from the front of the pouch until after I basted the layers together. With the fabric front, I trimmed the edges even at this step. 2. With your longest stitch length, baste around the whole piece, 1/8'' from the edge. I didn't have any problems sewing on the vinyl in this step, but if your presser foot starts getting stuck on the plastic, place a single drop of sewing machine oil in front of the foot. It should slide nicely now, and you can wipe away the oil when you are done. Now trim the vinyl or mesh even with the bottom of the pouch, if necessary. 2. I used the 3'' diameter curve on my Creative Grids Curved Corner Ruler to mark the bottom right corner, but you could also use a bowl, plate, or old CD for this - whatever you like! After marking the corner, go ahead and cut along the curve through all layers. 3. Re-baste along the curved edge to secure the edges together. 4. Wrap the prepared tab piece through the opening of the swivel snap clip. Pin or clip the ends together against the back of the pouch on the side opposite the curve. 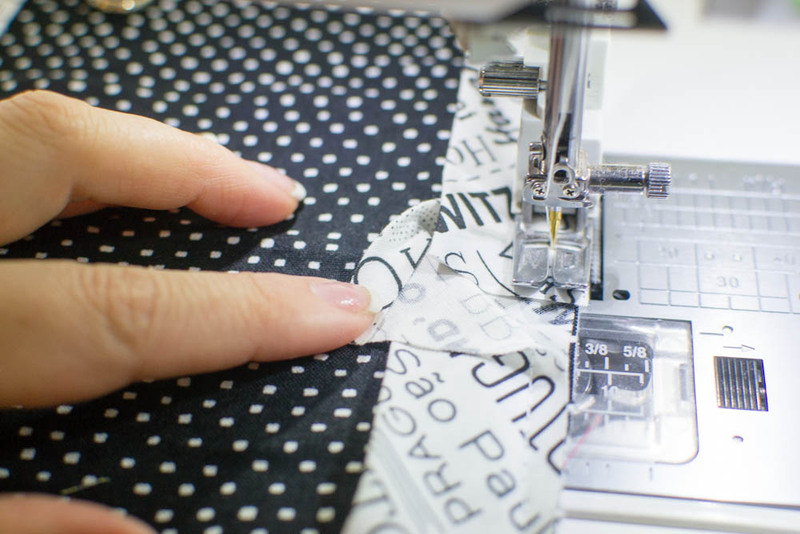 Tip: If you have a heavy duty sewing machine and needle, you can place it right under the zipper. If not, place it just above the zipper. Stitch the ends of the tab to the pouch 1/4'' away from the edge. Note: this is the way I usually bind edges. If you have a different favorite way, feel free to use it! 1. Fold back the end of the 2 1/4'' bias strip by about 1/4'' and press. Fold the strip in half lengthwise (wrong sides together) and press again. 2. Place the strip along the bottom edge of the pouch back, with the raw edges together. The end with the edges folded to the inside should be near the middle of the pouch bottom. 3. Start sewing 2-3'' away from the end. Stitch the binding to the pouch back with a 1/4'' seam allowance. Sew slowly around the curved edge. Miter the corners the same way that you would mini quilt binding. 4. When you approach the folded-in end of the binding, cut away the extra binding with about 1'' of overlap. Open the folded end and place the cut end inside. Continue sewing the cut end inside with the folded end open. Then close the folded end of the binding and sew the edge of it to the pouch too. 4. Clip or pin the binding around the edge of the pouch, all the way around. 5. Stitch the binding to the front of the pouch, sewing close to the folded edge. When you approach the clip tab, make sure it is out of the way of the needle. 6. If your sewing machine and needle are heavy duty enough, you can flip the clip tab over and stitch it to the binding. But this is optional. Enjoy your Clippie Zippie and make lots more!